Do you have a personal hero you really look up to? Would you like to be more like that person in your own life? You can. At the very least, you can begin to develop the abilities and attributes that you love in your hero in your own life. When we see someone whom we'd like to emulate, what we're seeing is that person's archetype. We all wear archetypes around all the time. Most of us have separate archetypes for work, home life, family time, and play time. Archetypes are energy programs that have specific behaviors, attitudes, ways of talking, and abilities. If you'd like to emulate your hero's archetype, the good news is that it's not that difficult. Two of the easiest ways to bring that archetype into your life are to either appear or act like that archetype. Look at your hero and note a couple of key characteristics about his or her appearance. Is there something about you hero's hair, mode of dress, makeup, or expressions that really jumps out at you? Bring those appearance characteristics into your own life. For instance, if you're hero always wears large chunky jewelry, try that on for size. Or if your hero is often casually dressed in jeans and a T-shirt, try that on. 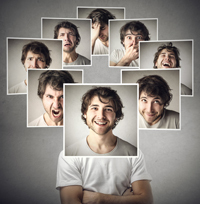 Practice their facial expressions in the mirror to get the feeling of them. You can also bring your hero's actions or choices into your life. In any given situation, ask yourself, "What would my hero do or say in this situation?" Begin to speak and act like your hero. You might have to do some research to find out more about your hero before you can answer this question thoroughly. Once you "key in" to your hero's actions or appearance, you will also bring all of your hero's other abilities and attributes into your life. In effect, you're "wearing" your hero around in your own life. It sounds a little wacky at first, but you'll see that it can be very effective. One last thing...make sure you have a way to get back to yourself. Use a specific word, expression, appearance or action that is unique to your everyday persona as a way to "key in" to your own everyday personality. For instance, if you use the expression "Cool beans!" a lot, you can use this as a way to return to yourself. You want to wear your hero around at chosen times, but you still want to be able to be yourself as well! Are you a believer that real magic exists, do you believe there is no such thing as magic, or are you somewhere in between? Maybe you aren't sure if real magic exists, but would like to believe. If your mind is open at all to the possibility, take a look at our Is Magic Real article and try out some simple magic rituals for yourself and see what you think then. Put away your preconceived notions from what you've seen in fantasy shows and books and make up your own mind based on your own experience. Here are 3 simple magic rituals to try out that will help you get your day off to a good start or end your day with serenity and let you wind down for a peaceful night's rest. Give one or all of them a try and judge the results you get. 1. Sit in the South facing North and have the candle in front of you. 2. Light the candle with your matches. 3. Once the flame of the candle is steady, hold your hands around the flame, but far enough away that you don't get burned, and focus your attention of wanting more energy on it. You can now sit quietly with the candle burning (observing fire safety of course) or just leave it burning in the room while you get ready to go out for the day. If you have to move to another room, take it with you. If you are especially low energy, you can hold your hands around the candle and "pull" Sun Yellow energy from the candle. Don't pull from the flame, just the candle. Sun Yellow is a fire energy color that nourishes spirit and can be energizing. After leaving the candle burning for around 30 minutes, blow the flame out. Take a few minutes to see how you feel, if there is a difference in your energy level, if you feel more harmonious or lighter. Running around in the morning trying to get everyone dressed, fed and out the door? Mornings can be hectic in many families, but take the time to do this simple ritual from Abraham-Hicks (http://www.abraham-hicks.com) and you may be surprised how the Universe can help you start your day off in a magical way instead of feeling overwhelmed. Here's how you do the Placemat Exercise. 1. Start with a clean sheet of paper. 2. Draw a line down the middle of the paper. 3. To the left of the line write "Things I Want to Be, Do or Have Today". 4. To the right of the line write "Things I Want the Universe to Bring Me Today". 5. Then start writing on the left side of the paper all the things you really want to be, do or have. This is not a to-do list for the day, so don't write things you have to do or should do or that you don't want to do. Only write down things that inspire you, that you are anticipating with joy, or that are pleasing to you. 6. After you've taken a few minutes to write on the left, switch to writing on the right side of the page. Write what you want the Universe to do for you today or to bring you. This could be things you feel you have no control over, things you don't want to do but are required to for some reason, or things you don't even want to think about. You might ask for the Universe to bring you inspiration or willingness to face and do these things, or ask the Universe to take care of those things for you or you might just ask for being joyful or peaceful for whatever situations you have to face today. 7. After you have finished the lists on both the left and the right side of the paper, take 17 seconds to focus on each item on the list with a feeling of pure positive emotion. Envision those things you want being a reality and already yours, focus on the vision of those things you weren't so wild about already completed and out of the way. Just beam with positive energy and emotion for those 17 seconds and you'll find the rest of your day will be more carefree and less stressful. This ritual can be done with a partner, a family, your pet or just by yourself. Done consistently each night it can help you unwind from the day and be able to get a good night's sleep. Here are directions for doing it with others and you can just adapt it if doing it by yourself or with a pet. 1. You will need a goblet or Chalice that has a stem, spring or well water, a color source of water blue (medium blue color, not light blue and not navy blue) and non-iodized salt. 2. Sit in the South facing the North with the Chalice in front of you. 3. Fill the Chalice half way full with the water. 4. Take some of the salt and sprinkle a bit into the water in the Chalice. 5. Look at your water blue color source and blow that color from your mouth into the Chalice. 6. Swirl the Chalice to move the water in a clockwise direction. 7. Say the following verse repeating Step 5 and 6 after each line of the verse. Not in accord with me. Bless these people and bless their space, (if doing alone change to "Bless this person and bless my space." Far from here send baneful trace. Thus my will, so it be." 8. Pick up the Chalice in your left hand, turn towards the person you are blessing. 10. As you draw the circle, say, "For the peace of your mind". 11. Repeat Steps 9 and 10 drawing on the chest over the heart and say, "For the joy of your heart". 12. Now have the person you are blessing take a sip of the water and you say, "And for the health of your body". 13. Now that you have done the blessing for your partner, have them repeat all these steps for you. If you have more people as in the whole family, you can pass the Chalice around a circle and have each person bless the one next to them, or have one person go around and do the blessing on everyone and then someone do it for them. There you have it. Three simple, magical rituals that anyone can do right away with no special training. Just dive right in, try one or all three. Do them consistently for 40 days to really give this a chance and keep your mind open to new possibilities. Then sit back, observe, and see what magical things come to make a difference in your life. That will give you the experience and the data to make your own decision about how real magic is. A Strong Relationship with the Universe is a Crucial Key to Successful Manifestation. Would you ask a huge favor of a total stranger? Probably not. You might ask to borrow a section of the newspaper while riding the subway, but you wouldn't ask them to babysit your kids. On the other end of the spectrum, your best friend will do anything for you and vice versa. The same is true of the Universe. When you just begin your relationship with the Universe (with the Beauty Way or working with angels), ask for small favors. With each successful co-creation with the Universe and mutual appreciation (the Universe thanks you and you thank the Universe), the relationship deepens, which gives you the leeway to ask for more and bigger favors. One key is to thank the Universe right after asking the favor and also when the manifestation occurs. Daily rituals are one way to start forming a relationship with the Universe and higher beings. They create a channel for us to spend some time each day connecting with the higher which could include our own inner guidance, totem spirits, angels or other higher powers and beings. Pick a daily ritual to do consistently each and every day. It doesn't have to be long or complicated; just something that connects you with the higher. If you don't have a ritual you already use or want to use, you can find lots of them on our blog or in our Daily Rituals for Attracting What You Want in Life ebook. The daily ritual you use should be one that gets you away for a time from your busy day so that you can hear the quiet voices of higher guidance. You may or may not know that there are guides speaking to us all the time. They want to help us manifest what we want in life. We just can't always hear them over all the noise that surrounds us with cell phones, TV, gossip, etc... Doing daily rituals gives us that quiet time to hear and connect with these higher beings. It is important when establishing a relationship with the Universe to do it with as much consistency as you can. Those in spiritual circles know that the consistency of doing a ritual at the same time every time increases the level and quality of the connection with the higher. Here are some things to remember as you start using daily rituals to connect with the Universe. You can be, do, and have everything and anything you want. The Universe is friendly--it's on your side and will help you succeed. Be grateful first--you'll then receive. The Universe delivers whatever you put your attention toward--what you think and feel. It can't go against that. If you've asked for something that isn't coming to you, ask for help shifting your energy into a more allowing and receiving mode. Don't try too hard--relax. The more relaxed and joyful you are, the faster the things you want will come to you. Now that you know why daily rituals are important and what they can bring to your life, get started and pick one to do. Do it daily and consistently and watch the magic of the Universe unfold in your life. Book 4 is a compilation of these 3 books so you can have this magical knowledge in one place. Remember that you don't have to have a Kindle to read these digital books. Any Smart Phone or computer will do. Just get the free Kindle app and download the books off Amazon. It's a great way to get started using magic or a budget friendly gift to send a friend to introduce them to the world of magic. Then if you are looking for some relationship help, check out L Is For Love Magick. 1. Dangle the pendulum from your dominant hand while visualizing the problem you want to clear. 2. Ask if you should and can clear the situation and use the pendulum with a yes/no indicator for the answer. 3.If the answer is yes, start swinging the pendulum counter clockwise, which is the direction of unwinding and ask that the problem or situation be cleared. "See" the situation resolving within your mind and be very specific as to what you are requesting and how you envision the situation being resolved. 4. Keep your focus on clearing the situation until the pendulum stops spinning counter clockwise and watch for it to then either start moving side to side on a vertical or horizontal axis, or stop spinning completely, or begin spinning in a clockwise direction. Once the pendulum does one of these on its own, the problem is cleared. Simple right, but oh so effective in helping you deal with everyday problems using magic. Of course you can always bring the problem back by worrying about it, but this technique is quick and simple enough to do as many times as you need to. By trusting the power of this magical tool and your intent you can however release the problem totally from your consciousness. Real magic really can make a difference in your life. So say hello to your inner magician by getting started gathering the magical knowledge that can help you start living a magical life. PREPAVING: This is one of our favorite magical techniques from one of our teachers. Just sit for 3-5 minutes in a quiet spot and focus on what you want and how you want your day to look. We spend so much time worrying about what we have to do, what we should do and what might happen that we forget what's most important – what we want! So spend a few minutes sending the Universe a few hints about how you want your day to look, and the Universe will deliver exactly that, and then some! SUN CANDLE: Did you know that the color sun yellow (bright yellow with no orange) actually nourishes and refreshes your Spirit? If you're feeling groggy, grumpy or grouchy, sit in front of a lit sun yellow candle for a few minutes. It will refresh you and give you happy, joyful energy. CONSCIOUS CHOICE: We spend so much time in our minds that our Spirits don't get much chance to come out and play. Yet, we are happiest when we are living in Spirit rather than in mind. To give you a hint, you were probably most in Spirit when you were a playful child. So, to get your Spirit in gear for a fun and playful day, make a conscious choice – it exercises Spirit. Just say to yourself, "I will now make a conscious choice." Then ask yourself a question such as, "Do I choose to have cereal or toast for breakfast?" Go with the first answer you hear or receive. Following Spirit's guidance will align your energies and make for a positive day. GREET THE DAY: One way to stay in touch with your Spirit and with nature is to go outside and greet the day. It's simple. Go outside, extend your attention into the sky and say, "Sky Above." Then, extend your attention into the earth and say, "and Earth Below." Then, with attention both above and below, say, "I greet you." Wait a moment and see what gifts the Universe brings you (this is a simple form of the Navajo Beauty Way). You will experience peace, joy, satisfaction and nourishment. HIRE SOME HELPERS: Need a little extra help today? Hire some helpers! Whether it's animal totems or angels, all kinds of powers and beings stand ready to help you. All you have to do is ask! Some people draw cards from the Medicine Card deck to set the "tone" of their day, while other people hire angels. Whoever you hire, just remember to thank them when you receive the help you've asked for. There are so many ways to design your day and your life. For more ways to bring simple magical fixes into your day and your life get our magical Kindle books series. Do you have something you keep tripping over in your life? Maybe issues about money, relationships, career, weight or family? While most of us seem to handle many of life's little problems quite functionally, there are usually one or two issues that we can't seem to get a grip on. What should we do? If we want to handle the situation as a shaman would, we would create an exercise that would show us where the real difficulty lies. 1) Identify the "theme" of the problem. For instance, in this example it's "What you don't need." 2) Identify the "theme" of the solution. In this case, it would be "Conserve." In other words, you want to stop putting out resources for what you don't need. 3) Choose an area of your life where you can practice the theme of the solution, AWAY from the area of problem. In this case, you want to conserve, but don't try to conserve with money – you've already tried it and it doesn't work. Instead, find somewhere else you can conserve. For instance, you might look at whether you talk when you don't need to, act when you don't need to or think and worry excessively. If "what you don't need" manifests in the money department of your life, it will show up elsewhere, too. If you talk excessively, you might create an exercise like this: once a day, pick a conversation will you will conserve your breath and say only what is necessary. Each night, record the results of this exercise in conservation in a journal. Do this exercise for 40 days and see what happens. You will find that you learn the law of conservation through talking less, and that it will begin to apply to your spending habits. The key is to work through the problem in a relatively benign exercise – something that's almost silly. And when you work it out in the exercise, you'll have worked it out in your life as well! Remember that the exercise is a microcosm of your life, and what works in the exercise applies everywhere else in life. If you need help coming up with exercises for your life problems, check out the Everyday Magic Course – an email course that sends you helpful magical exercises, tips and tricks every single week. PREPAVING: This is one of our favorite magical techniques from Abraham (http://www.abraham-hicks.com). Just sit for 3-5 minutes in a quiet spot and focus on what you want and how you want your day to look. We spend so much time worrying about what we have to do, what we should do and what might happen that we forget what's most important – what we want! So spend a few minutes sending the Universe a few hints about how you want your day to look, and the Universe will deliver exactly that, and then some! There are so many more ways to design your day and your life. If you want more great ways to get your life off to a roaring good time, check out the Everyday Magic Course – 52 timely and useful tips for improving your life with a little magic.